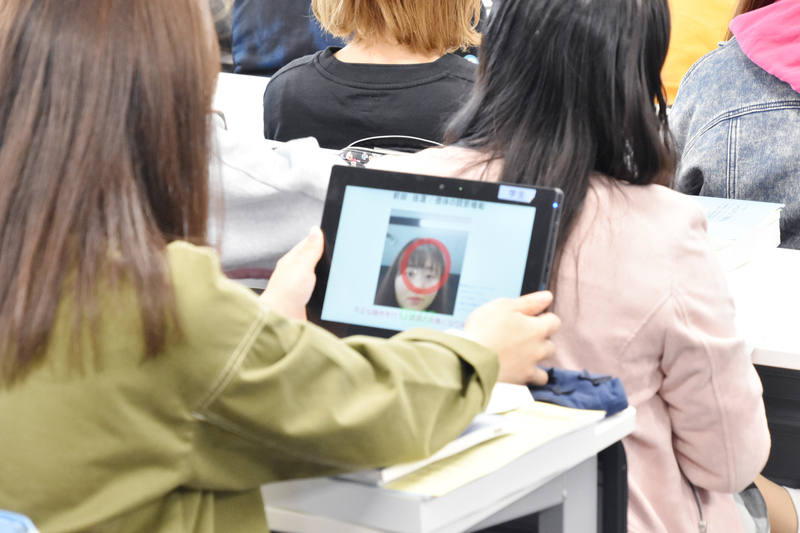 KOBE - The Hyogo College of Medicine has introduced a facial recognition technology-based system to check student attendance. It is the first university in Japan to use such a system, according to the institution in the city of Nishinomiya, Hyogo Prefecture. The university expects the system to allow teachers to check students’ attendance swiftly and accurately and improve the work efficiency of its staff who had been using standard attendance sheets. 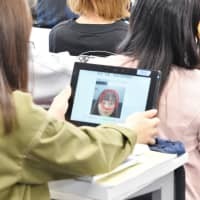 Sixteen tablet devices with facial recognition functions were introduced on Friday last week, with four units — one for teachers and three for students — spread across four lecture rooms. The faces of a total of some 470 students had been registered on the devices beforehand. At the start of classes, students register their attendance using the tablets in turn. The devices are held up to their faces, and the images shown on the displays are checked against the preregistered images. If the facial recognition functions do not work, students enter their identification numbers on the tablets for attendance registration. 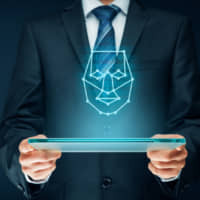 Teachers can check the attendance on their tablets, which show images of students conducting the facial recognition process in real time. The college also hopes to utilize the new system to identify long-term absentees at an early stage so that appropriate physical and mental care will be provided to them. The facial recognition system frees teachers from the chore of handing out attendance cards to students and collecting them, as well as entering attendance information into the college’s educational affairs system. With the new system, the college expects to cut some 425 hours of such burdensome work in the 1,700 lectures held in a year. In the future, the school plans to use the system for security-related matters. “Previously, it had been difficult for us to watch over our students in a comprehensive manner as no homeroom activities or similar sessions are available at universities,” said Keiichiro Suzuki, deputy chief of the college. The system will help “increase trust from students and parents” in the college and “prevent the nuisance related to checking attendance” in case classes are formed according to the levels of students’ proficiency, he added.